German aviation minister Hermann Göring ordered work rushed on the LZ 130 LZ 130 Graf Zeppelin II, which was to have been the sister ship of the Hindenburg. The U.S. Congress passed neutrality legislation permitting the sale of certain commodities (excluding munitions) while making it illegal for U.S. citizens to travel on belligerent ships. The musical film Shall We Dance starring Fred Astaire and Ginger Rogers was released. This film introduced the famous George and Ira Gershwin songs “Let’s Call the Whole Thing Off” and “They Can’t Take That Away from Me“. 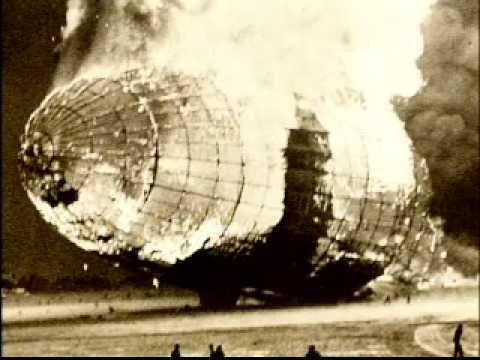 The German airship Hindenburg, the largest dirigible ever built, explodes as it arrives in Lakehurst, New Jersey. Thirty-six people died in the fiery accident that has since become iconic, in part because of the live radio broadcast of the disaster.